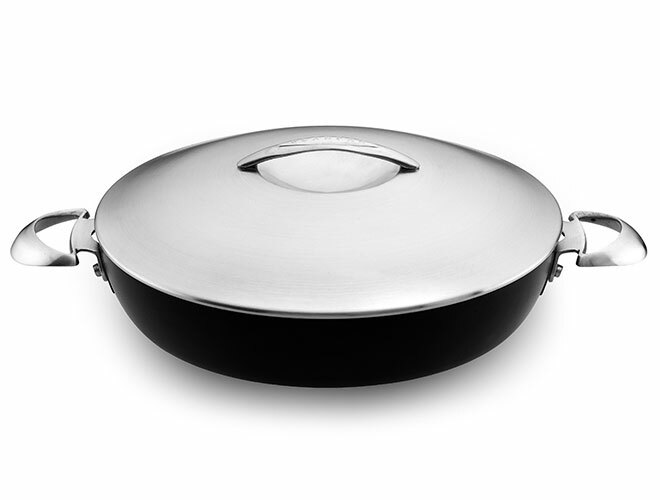 The Scanpan Professional Stratanium Nonstick Chef's Pan serves the same function as a saute pan. 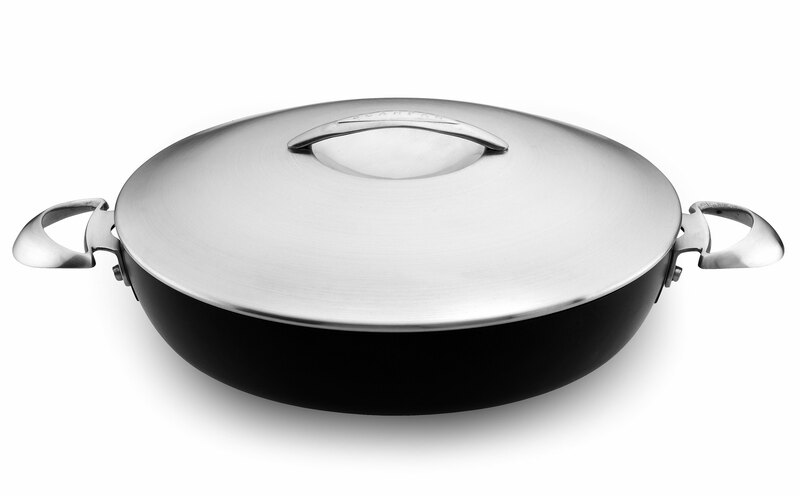 The only difference is that the chef's pan has two short handles, making it suitable as a serving pan. 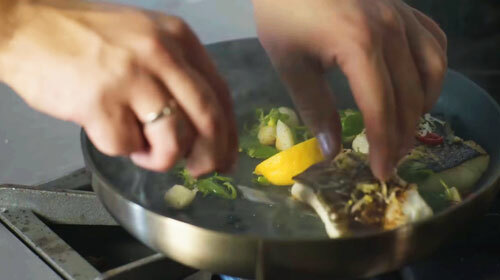 The tall edges of the pan makes it easier to stir foods, add stock and slowly simmer dishes. The Scanpan Professional Stratanium series is designed for connoisseurs in need of cookware that looks and performs beyond the ordinary. This exclusive design is based on the combination of hand-cast, squeeze cast aluminum, ceramic titanium and the Stratanium nonstick coating, resulting in absolutely unique useful features. Scanpan spent over two years researching and testing to create the Stratanium nonstick system from the ground up. Stratanium consists of 5-layers in which hard particles and wave-like layers interlock to reinforce the nonstick layer. This makes Stratanium products have a 50% more durable nonstick than the previous Scanpan coating. Made in Denmark with a lifetime warranty.